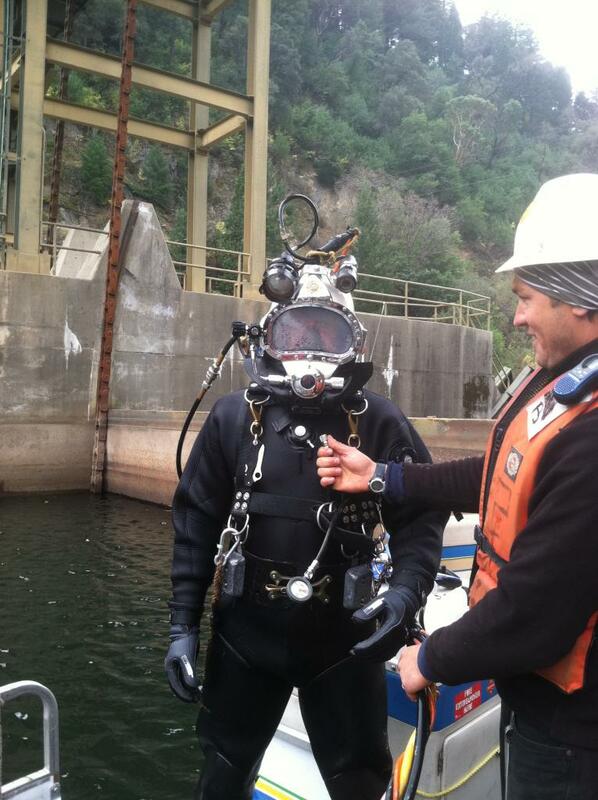 Poe Dam Inspection - Global Diving & Salvage, Inc. 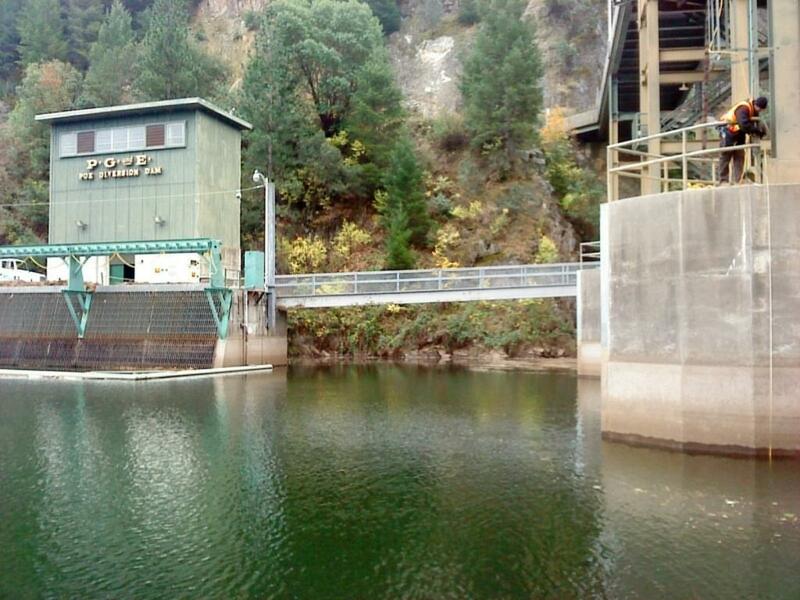 Global was contracted to perform a dam inspection and record measurements for future work. Divers set up templates and created an as-built drawing of the dam so that PG&E contracted engineers could fabricate a truss-type stop log. 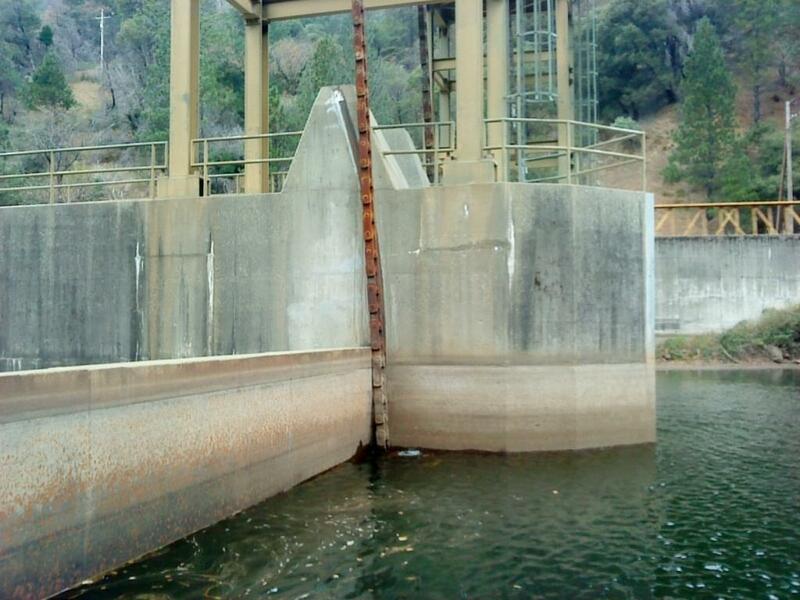 This installation would support the work and repair of radial gates and additional work. A shallow air surface supplied dive spread was used. 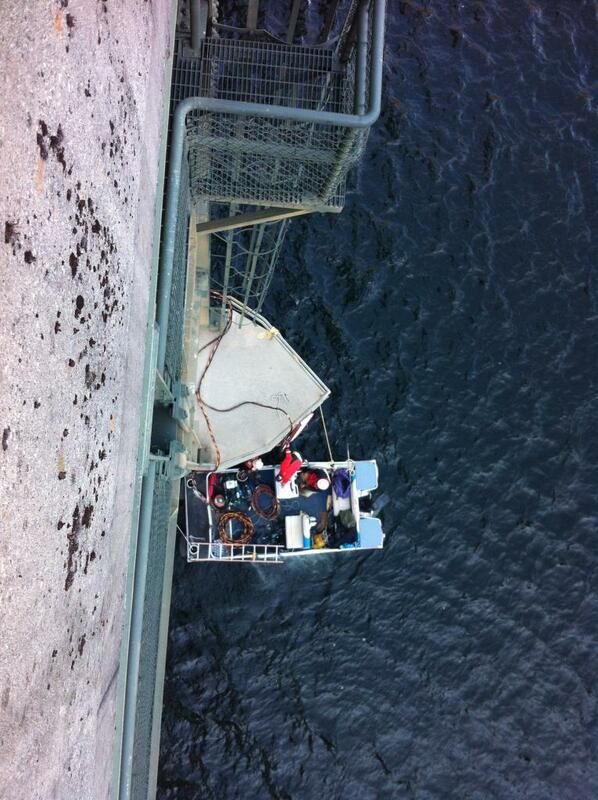 The divers performed numerous measurements using a custom designed aluminum jig.